Mother Nature is great that gives us so many resources and that’s all free, specifically energy sources like sun, wind and water. None of them is charged by nature! As the technology is having advancements, people are looking to harness these free energy sources to convert and use them for their domestic appliances. This is the fact that fossil fuel reserves are decreasing and need for alternate energy sources are getting more. Best way is to harness the solar or wind energy. The renewable energy technology is advancing rapidly. Use of wind turbines is best way to harness the energy. It was used in old times in form of windmills. 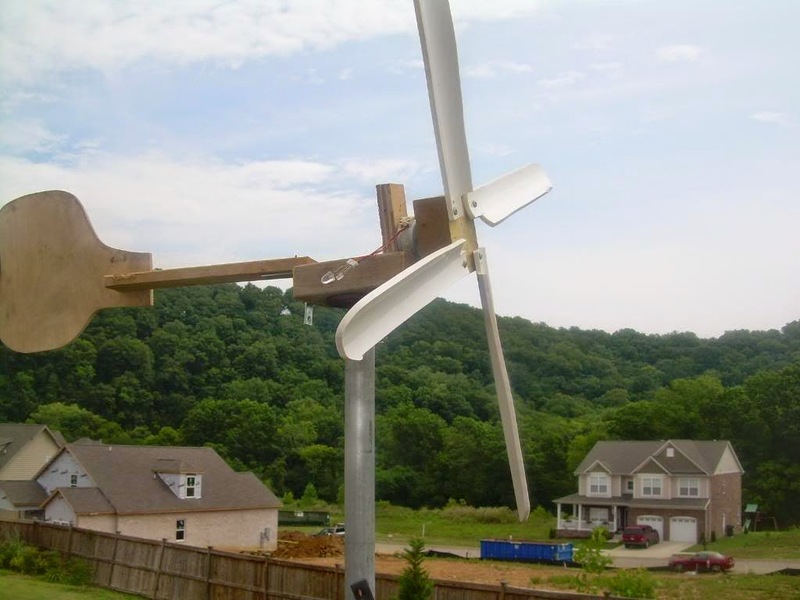 Many home owners are considering to harness wind energy through the help of certain devices. Wind energy is a kinetic energy to convert this energy in form of mechanical energy wind turbine is needed. Wind turbine is a device with large vaned wheels and it rotates by wind. Its rotation converts kinetic energy into mechanical energy which then is converted into electric energy through help of generator. The wind energy can be used to run simple machines at home. This will reduce your electric bill. 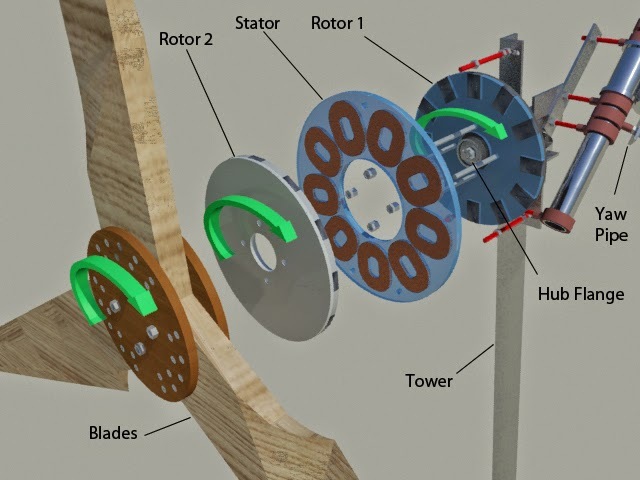 How to build a Wind Turbine for Home? Wood planks will be used to make the blades, with help of a hammer and chisel you can give the blades finishing touch as you desire. 25 mm thickness would be the best for those wood plank made blades. You will have to make a chart for the dimensions of blades so you can make the blades according to your needs which work perfectly. Power tools designed for homes can make your task much easier. 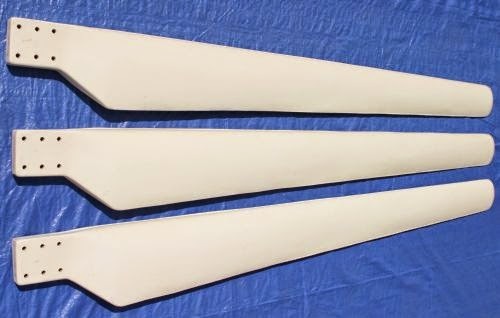 After finishing the blades you will need to set them on a rotor, for that you can use double sided tape. Little chiseled stumps will support the down side of the blade as you plan to fix them on rotor. Initially you will need two magnet rotors to be designed. You will need coil winding copper wire which will be placed between the two magnet discs. To make magnetic discs you will need at least 12 magnets that will be used for each disk. First consider the dimensions of milling cutter before drilling the holes for magnetic discs. After that place the magnets on the disc with help of a strong resin. To make rotor discs you have choice to choose between, medium density fiberboard, iron, stainless steel, or wood. The magnetic rotor then will be needed to be drilled as to accommodate 6004 bearing. The support bearings must be placed on either side of the shaft. The magnet rotor would be designed in such way that it can hold at least 12 magnets. The magnetic poles on each rotor should be placed like that they attract the magnets on the opposite side. It should be made sure that weight of rotors should be carried by the bolts to have proper balancing. The hole in the center of the two rotors will secure the stator. For making stator you will have to work on number of copper wire which will charge the battery. A 12V standard battery you will need for that. You will have to make the coils with help of copper wire, a series of coils in parallel groups. Winding coils will take little time of yours, but on whole winding coils is the most fun part of this project and you will enjoy that. While winding coils you must keep 200 turns on each coil. After winding position the coils and screw down the stator on the board. Fill the joints with resin in other to secure the joints and let the components work smoothly. 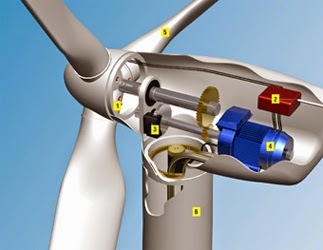 Now set this your wind energy harnessing design on a testing stick and see look that your battery and inverter harness the wind energy every time when turbine swings. Your wind energy turbine is ready it is the most reliable source of energy that cost a lot less. There is a chance you're qualified for a new government sponsored solar energy rebate program.